Choker from WE ARE FLOWERGIRLS, Jewellery and XXL-PomPom from ROSANTICA, sandals from ZARA, black heels from Bryan Atwood, silver heels from Sophia Webster. Uh yeah, we spotted a new trend this season and I´m u too. Yes, we talk about the 90s chokers every It-Girl is wearing right now. Taylor Swift, Gigi Hadid, Kendall Jenner and, and, and ...! 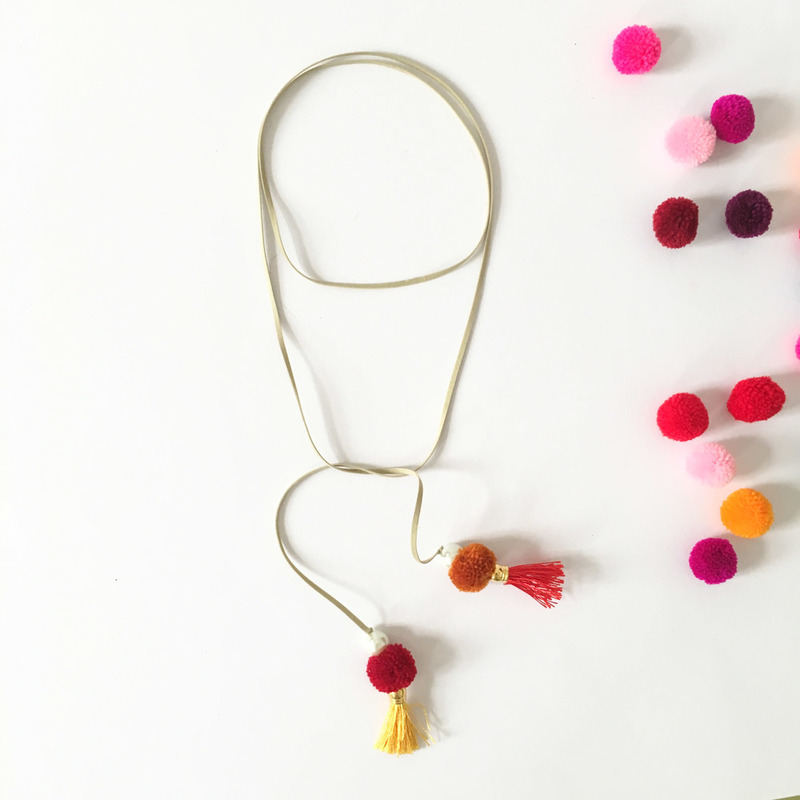 Instead of glamorous statement necklaces, we wrap thin leather strings around our necks this summer. Choker has gotten huge again! It's a trend that's been creeping back thanks to an overall 90s resurgence. The choker, of the velvet, metal, rhinestone or leather variety, has been seen on the necks of all insta-girls I know. In the end of 2015 these girls started with this well known plastic version, we all know from the past - igittt - no, I won't show you a picture here because these chokers just look nasty. But then, in the early days of 2016, they started to wear thin strings in black or grey around the neck and closed it with a bow - we like. When was the last time you saw Kendall or Gigi together in a photo and one of them wasn't wearing some kind of a choker, looking like something straight out of your favorite 90s movie? You don't know? We eather. 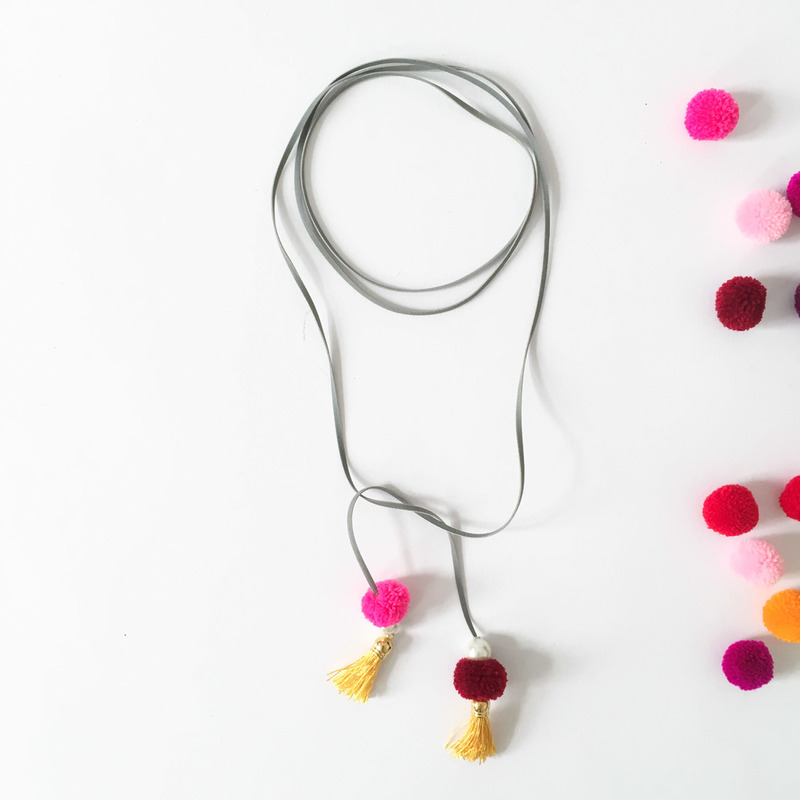 So, we thought we give the chokers a new touch and what would be better than ...tatatataaa .... tassels and PomPoms. It's the perfect combination for romantic summer-days, festivals and trendy folklore outfits. And of course, you can also wear it to T-Shirts with leather jacket, jeans and boots. Today we launched our new CHOKER COLLECTION and here it is! How to wear a choker? The first thing: You have to wrap it around your neck very tight and close it with a bow or a buckle. Some chokers have buckles, some just open ends and you can do a knot or bow. 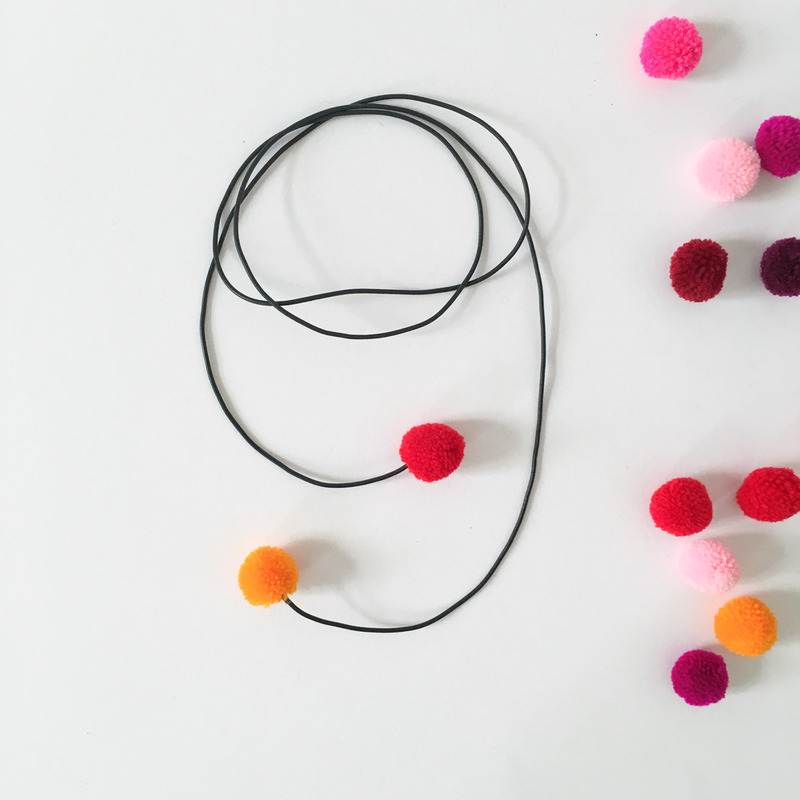 You can wrap it over a turtleneck or you combined it to a V-neck with some other necklaces. I love to wear one or two chokers to strapless tops or to normal T-Shirts. For the perfect 90s look, you wear it to denim or black crop tops. But there are so many ways you can do it and so many styles chokers look amazing with. Also the romantic dress-style for weddings, garden parties or picknicks looks awesome with a 90s choker. Inspired by our favourite It-Girls! I feel like maybe chokers are the new flower crowns?